DOWNLOAD the best word games FREE in WORD COLLECT! Word Collect has exciting word games Free Word Nerds! 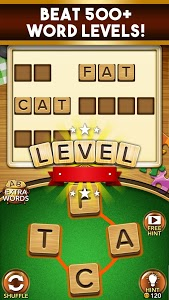 Word Collect starts as an easy word game and gets harder as you level up! 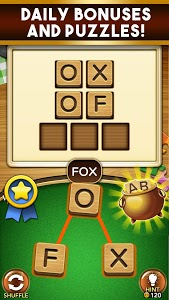 - Connect letters in any direction to form the hidden word matches! - Find as many words as possible to level up and earn bonus rewards! - Fill in every word block jumbles! Earn bonus coins when you discover hidden words! - Can't figure out the word jumble? Use coins to get a hint and win the level! - Daily bonus coins for free hints! - Daily Challenge gives you more free word games, more free bonus coins and more FUN EVERY DAY! 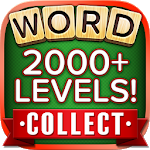 - Over 900+ Levels to play word games free! - Free 500 coins at the first word game login. - Easy to play and difficulty increases as you go! - Play OFFLINE or ONLINE - anytime, anywhere. - Whether you want word games for adults or word games for kids, Word Collect is the best free word game! 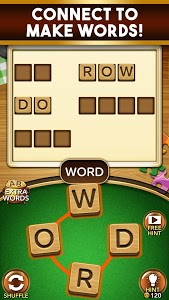 - For word games free single player mode, download Word Collect Word Game Now! Get Word Collect for the best word games free for word game fans, word search addicts, and more! Play word games now in Word Collect- it's so addictive! Having an issue with these free word games for android? For immediate support, contact us at [email protected] Thanks! 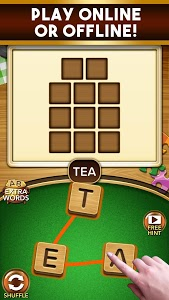 PLAY WORD COLLECT TODAY! Try the Best Free Word Games for Word Game Addicts and Download today! - Free 500 coins when you play for the first time! - Easy to play, but hard to beat - difficulty increases as you go! - Play ONLINE or OFFLINE! - Now play in SPANISH! Similar to "Word Collect - Free Word Games"